On September 8, 1941 St. Edward High School opened its doors to 42 freshmen and 40 sophomore men and women for the first time. The Rockford Diocese acquired the G. P. Lord School in 1941, which was originally built in 1877 as a public grade school. 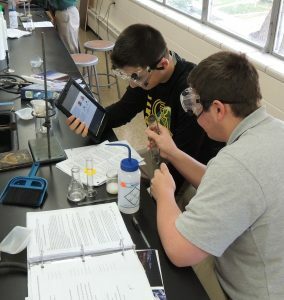 St. Edward High School opened later that year with eight classrooms and a cafeteria. The school was named St. Edward in honor of the patron saint of Bishop Edward Hoban and dedicated on the eve of the Feast of St. Edward, October 12, 1941. Four sisters of the order of St. Dominic from Adrian, Michigan provided the faculty for the school. Tuition was five dollars a month. Since those early days, classrooms have been added, along with science laboratories, computer labs, lunchrooms, a sports field, and two gyms. 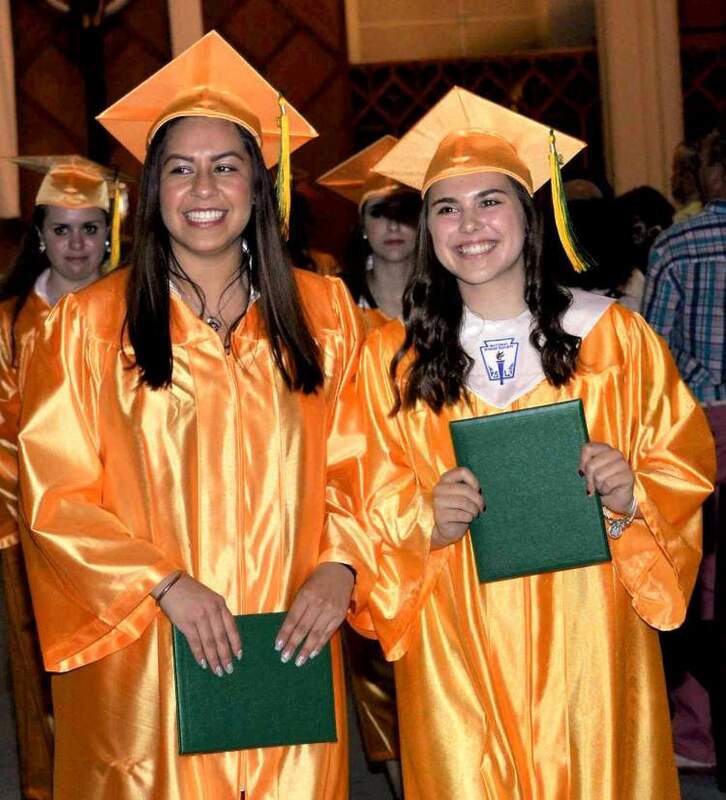 Since its humble beginnings St. Edward students have won awards in every academic area from speech to science. They have excelled on sports teams as well. 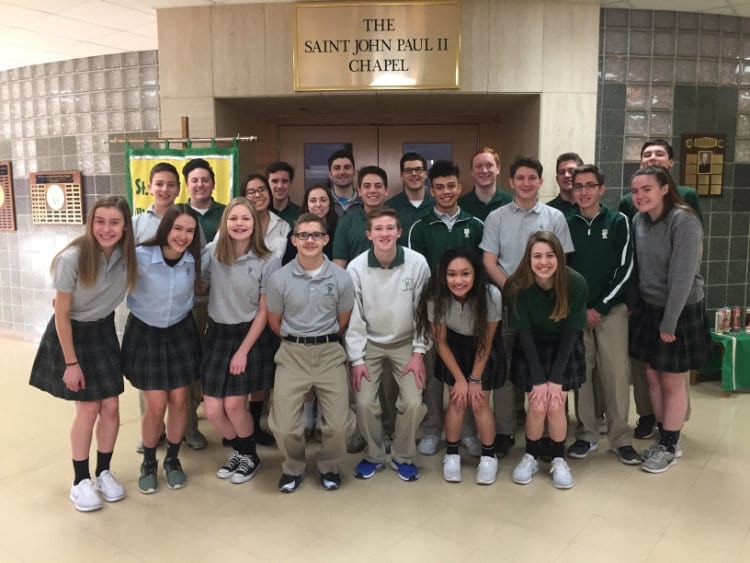 St. Edward students have volunteered their services to a great variety of charitable and service organizations. As alumni they can be found in business, professional, teaching, religious life and entertainment fields. They are testimony to the value of a liberal arts education within a religious context. 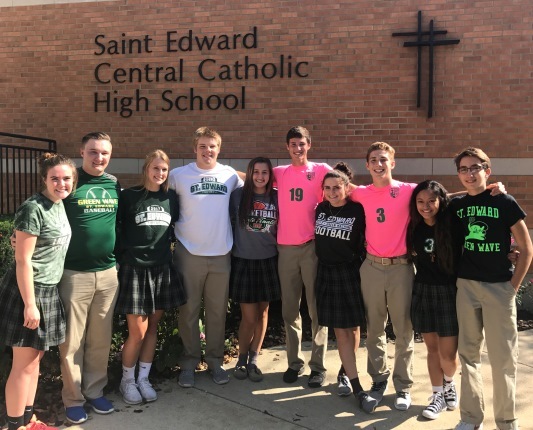 St. Edward Central Catholic High school celebrates 75 years of providing Excellence in Education in a Christ-centered faith community. 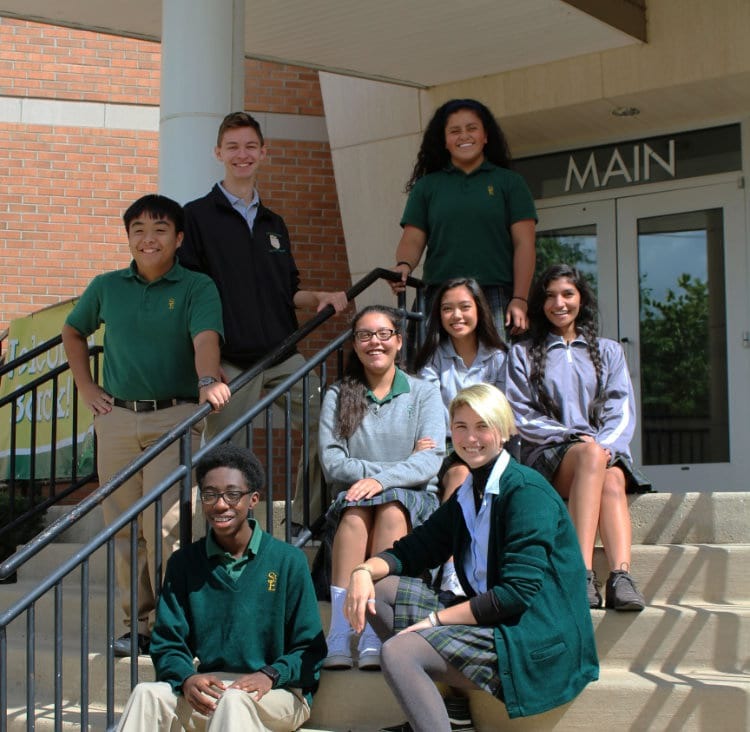 St. Edward will maintain its offer to students of a progressive curriculum designed to prepare today’s student for tomorrow’s realities. The first day of class was September 8, 1941, with 40 sophomores and 42 freshmen. 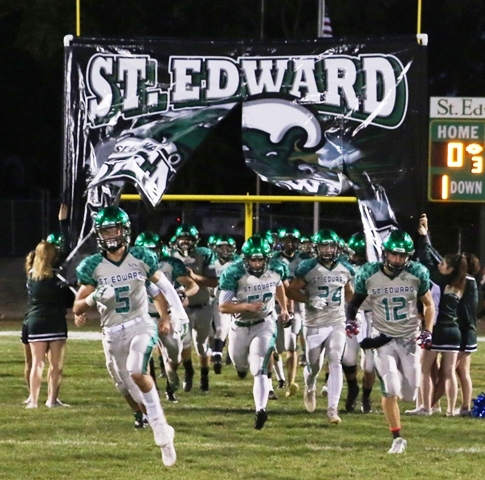 The school was named St. Edward, as that was the patron saint of then-Bishop Edward Hoban. 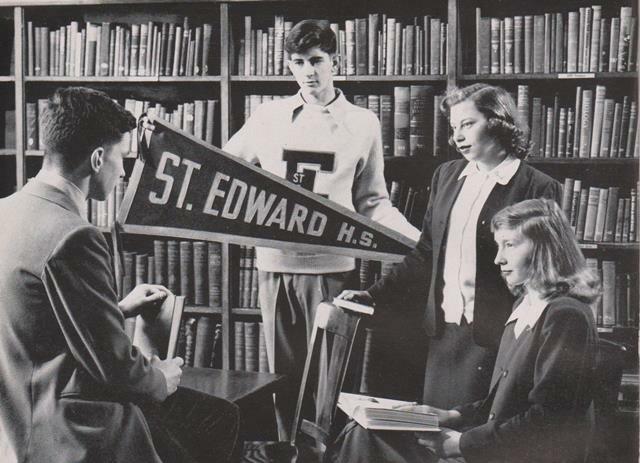 In 1955, St. Edward HS was the first school in Elgin to offer Driver’s Education. The uniform skirt our young ladies wear was adopted in 1962. Greg True Field was dedicated on October 28, 1968. The first school newspaper was called the Ed-Hi Line, and began publication in 1950. The first Prom was held in the Baker Hotel in Elgin, but by 1950 it had moved to the school gym. Early football games were held at Abbot Field, and basketball games were held at St. Mary School. Our Booster club began in 1943, and the Mother’s club began in 1941. Fight, fight, fight for our victory.